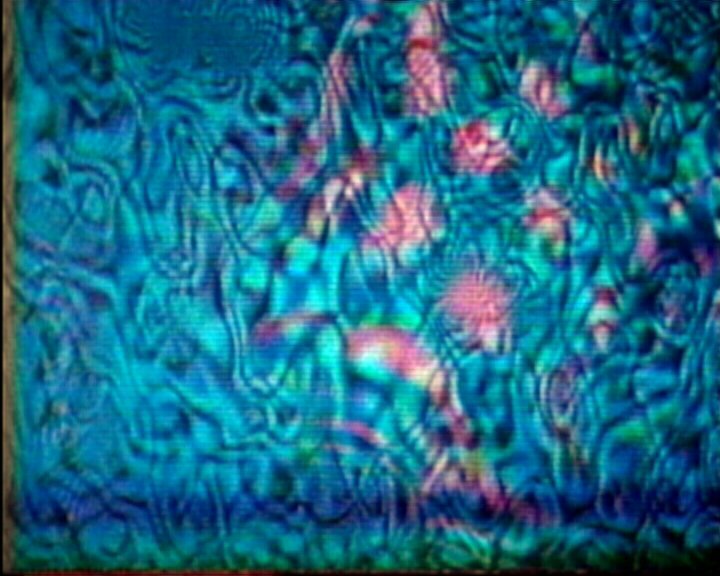 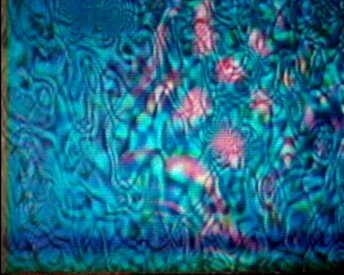 Mad Mesh was made by photographing disturbed mesh patterns from a television camera tube. 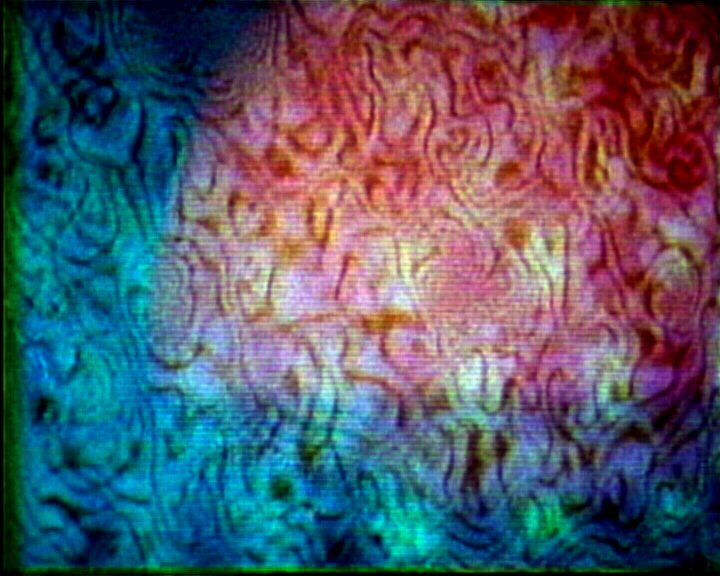 An Image Orthicon camera in the Federal Engineering section of the ABC (Australian Broadcasting Corporation at Gore Hill, Sydney) had developed a fault with the mesh in the pick-up tube that could be moved around with magnets. 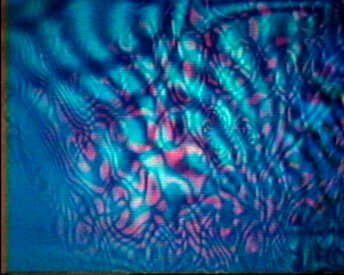 This produced mobile fluid patterns on the monitor. 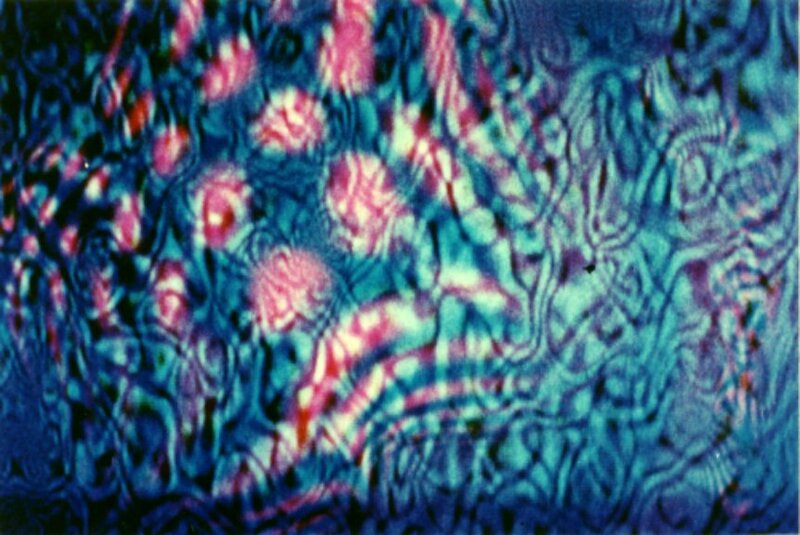 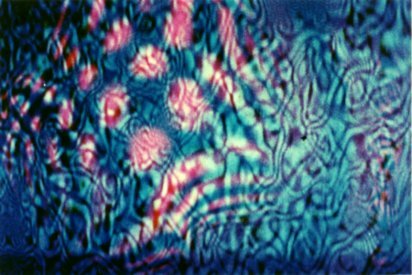 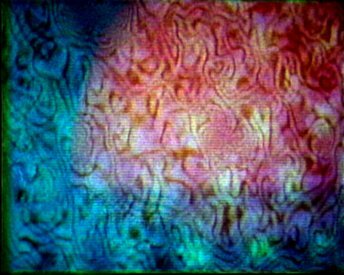 Perry has always called this a film, but as it was made using an electronic image from a television camera, displayed on and recorded from a television monitor, it is closer to the broad category of electronic imaging.